Natural resource development accounts for Canadian economic affluence thus incentivizing governments to facilitate extraction with free-entry market policies. Despite the importance of resource extraction activities to the Canadian economy, this practice contravenes the constitutional rights of Indigenous peoples when the lands they are entitled to become a public market place for private actors; one in which the transfer of property and land takes place without giving effect to the principle of consent. The mining regime currently in place speaks to the unrecognized legitimacy of indigenous governance in land and resource management; it captures the essence of an ongoing struggle for indigenous self-determination. It reveals that indigenous rights have been compromised by the preferential treatment the state has given to the mining sector. Ultimately, this regime highlights the fundamental issue with the lack of appropriate balance between private capital interests and indigenous rights. This essay will begin by accounting for indigenous jurisdiction over their lands and resources under international and Canadian constitutional law and consider their application to domestic mining regulation. Next, the case of Ross River Dena Council v. Government of Yukon will be analyzed to illustrate how domestic regulation lacks a comprehensive framework in that it does not integrate indigenous participation in decisions associated with mining on traditional lands. It appears that this form of legal uncertainty has given immunity to private capital interests at the expense of indigenous rights. Finally, it will be argued that a comprehensive legal framework is crucial for the sustainable management of the mining sector as a leading Canadian industry and indigenous rights as it can reconcile minority interests with economic development. Despite Canada’s endorsement of United Nations Declaration of Indigenous Rights (UNDRIP) in 2010, domestic law suggests that principles enshrined by the declaration have not been translated into legal norms. This section will examine the role of international human rights in Canadian law. Specifically, it will consider how international human rights law is reflected in the Canadian constitutional order and its corresponding jurisprudence. The UNDRIP proclaims that indigenous peoples possess an inherent right to self-determination and political autonomy over their own lands and resources. In the context of mining development, the “right to free, prior, and informed consent” requires that indigenous consent be “expressed freely and in possession of all relevant information regarding the proposed activity and its potential impact.” The extent to which this standard has been operationalized in Canadian law is subsequently analyzed. Until 1982, indigenous people had no jurisdiction over mining activities. However, the inclusion of section 35 to the Constitution Act, 1982, gave constitutional protection to “the existing aboriginal and treaty rights of the aboriginal peoples of Canada,” where “aboriginal peoples of Canada” includes the Indian, Inuit and Métis peoples of Canada.” Supreme Court rulings regarding the meaning of section 35 have suggested two developments in the role of indigenous communities over mining activities. Firstly, in R. v. Hape (2007), the Court established that statutory action assumes compliance with international law obligations. 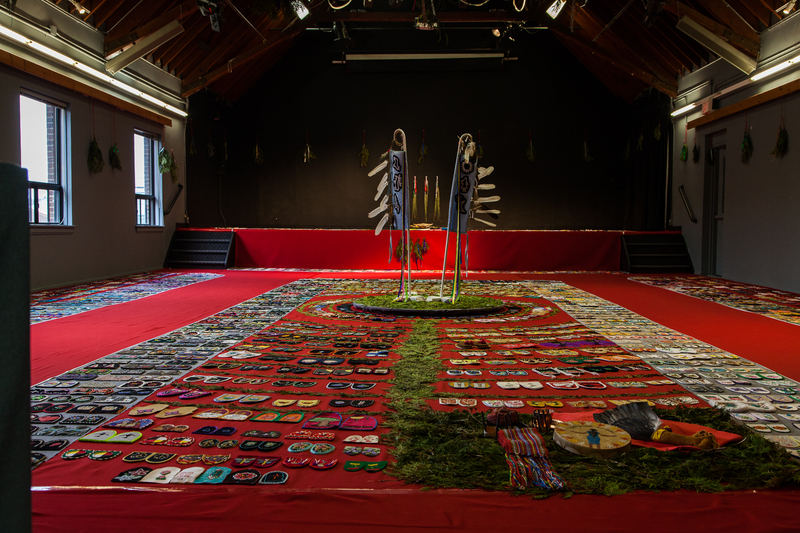 In the Court’s 2010 ruling of First Nations Child and Family Caring Society of Canada v. Canada (Attorney General), it established that UNDRIP was a legal instrument that should “inform the contextual approach to [domestic] statutory interpretation.” Secondly, in Tsilhqot’in Nation v. British Columbia (2014), the Supreme Court found that the government has a fiduciary “duty to consult” and account for the interests of indigenous peoples before consenting to industrial projects that may have adverse impacts on indigenous communities. Thus, the interpretive dynamic given to section 35 rulings confirms the obligation to apply international human rights standards to Canadian legal practice. Presently, there is no legislative mechanism that implements standards for mining activities thus, FPIC remains an informal standard applied by non-governmental standards. The lack of certainty surrounding FPIC reveals its inconsistency in a practical context. Consequently, questions regarding aboriginal rights and title remain unresolved. For instance: What justifies an infringement of indigenous land and resource rights under section 35? What remedy is considered appropriate and just in the circumstances? To shed light on this matter, the following section examines the 2012 case of River Dena Council v. Government of Yukon to illustrate how legal ambiguity shapes social equity outcomes, particularly for those without clearly defined legal rights. In land rights litigation, specific claims are advanced through allegations that a government has breached the lawful obligation it owes to an indigenous party. In the absence of direct policy measures, the role of government is circumscribed through its ability to be incrementally responsive to the effects of mining on indigenous rights. It follows that negotiation policies are established on a case by case basis. The Ross River Dena Council case demonstrates how limited executive policy behavior offers justice to indigenous peoples while securing markets by providing more certainty over economic rights. The Court’s decision that the government must consult the affected indigenous community before registering land for mining acquisitions is an indication that consultation is evolving from an informal practice towards a legally binding standard. It was argued that mining claim notices do not meet the requirements established in Canadian jurisprudence or in international law. The Court acknowledged how the free entry system is highly profitable to the mining sector and the Yukon economy however, it found that profitability cannot justify a breach of rights, nor does it absolve the government’s duty to consult affected communities. As mentioned above, the open entry aspects of the Quartz Mining Act are needed to facilitate the transfer of private property in the Canadian mining sector. Imposing any legal requirement to consult beyond providing notice would be impractical for the mining developers as it would create entry barriers that may affect the prosperity of the mining sector. In this light, the Court of Appeal’s reasoning has broader implications for free entry in other Canadian provinces as it speaks to the role of governments in setting legal boundaries to the state’s prioritization of economic interests. Above all, legislative action must bring mining regimes into conformity with the consultation requirements articulated in Haida Nation, the principled framework under UNDRIP and since 2014, the principle of consent established in Tsilhqot’in Nation v. British Columbia. However, while mining regulation must be consistent with indigenous rights in Canada, their interests must be balanced with the government’s role in distributing resource benefits to all Canadians. The absence of legal clarity in mining policy reveals that Canadian governments have not adequately exercised their constitutional duties to consult and accommodate Aboriginal interests, nor have they complied to the international standard of FPIC. Given that there is no framework currently in place, private mining industries enjoy flexibility in their approaches to recognizing and accommodating indigenous rights. The following section examines how private Canadian mining companies negotiate impact and benefits agreements (IBAs) to illustrate how this form of consultation leaves ambiguities surrounding the implementation of indigenous rights in mining developments. IBAs have provided an effective measure for securing indigenous support while circumventing the legal ambiguity that persists in Canadian law. Specifically, private industries secure Indigenous consent by negotiating IBAs, under which Indigenous peoples agree to a proposed development project in exchange for tangible benefits. For corporate actors, IBAs are legally binding contracts that secure indigenous consent to development projects; they are attractive to industry players as they can ensure practical certainty through legal recognition. Alternately, IBAs promote indigenous engagement with projects. However, in a study on self-regulating mining regimes, Catherine Coumans found that such frameworks “do not address the need for sanction and remedy, do not ensure respect for human rights, and do not support and promote community agency in protecting social, economic, and environmental values.” Consequently, she argued that the present legal framework gives Canadian mining corporations “effective impunity” by granting them broad discretion in negotiation processes. The lack of procedural uniformity in Canadian mining regulation reveals that companies have the prerogative to choose when to accommodate indigenous rights. Ultimately, this form of legal uncertainty leads to unpredictable outcomes for all parties involved and does not ensure long-term sustainability for mining industries on indigenous lands. Furthermore, indigenous accountability and governance in managing the revenues of IBAs may require resource sharing institutions to ensure that the utilization of revenue is beneficial to the entire community. Developing institutional capacities is necessary to ensure that IBA benefits are strategically managed according to local realities and shared equitably within communities. For instance, communities could devise investment plans to address specific community needs. By using IBAs as a form of investment revenue, communities could develop their own approaches to sustainable development by addressing local priorities and do so independently of federal government funding. This form of revenue could thereby be utilized to enhance indigenous governance without Canadian government interference. Establishing accountability mechanisms for the mining sector and within communities can ensure that interests will be balanced and reconciled with sustainable development strategy at both levels. In the context of indigenous rights in mining development, a regulatory framework can establish the rights and obligations of communities, corporate actors and governments. Considering that mining is a high-risk industry critical to the economic growth of Canada, government oversight is needed to create an institutional environment that enables favorable conditions for capital expansion. To do so, governments have chosen to deregulate the mining industry to facilitate mineral extraction. However, industries that operate where constitutionally recognized indigenous rights exist can suffer the consequences of an uncertain legal regime when faced with court challenges. In general, investors can minimize uncertainty by using information that calculates financial risks. However, the potential impacts of litigation raise risks that are unquantifiable. Thus, an unpredictable legal regime can impose significant financial costs to private mining companies because uncertainty diminishes investment and expected returns. Ultimately, a legally binding framework appears to be required to ensure commitment to ethical corporate practices and the mining sector’s financial solvency. In the long-term, regulation can ensure sustainable resource management by reconciling indigenous interests with economic development. This essay has sought to illustrate that the fundamental issue at play is the uncertainty over indigenous jurisdiction in resource and land management. Particularly, it has pointed to the pressing issue over the lack of corporate and governmental consultation with indigenous communities. Here, the ultimate challenge is achieving representative governance by securing land rights while also creating a favorable environment for economic growth. Above all, implementing sustainable strategies on issues related to representation, resource and revenue management can allow the consistent application of law to the uncertainties that exist in the present context. It follows that policy-makers need to be more mindful of recent judicial developments around indigenous consent in mining policy. By providing a legislative framework informed by international human rights law, Canadian governments can advance towards the reconciliation of economic priorities with indigenous interests. Ultimately, through effective legislative action, mining can provide sustainable economic and social benefits to all parties involved. [footnote] Ciaran O’Faircheallaigh, “Extractive industries and Indigenous peoples: A changing dynamic?” (2012), p. 20. Jim Cooney, Mining, Economic Development and Indigenous Peoples: “Getting the Governance Equation Right,” (2013), p. 37. Malcolm Lavoie and Dwight Newman, “Mining and Aboriginal Rights in Yukon: How Certainty Affects Investor Confidence,” (2015), p. 23. Ross River Dena Council v. Government of Yukon, 2012 YKCA 14. UN General Assembly, United Nations Declaration on the Rights of Indigenous Peoples:resolution / adopted by the General Assembly, 2 October 2007, A/RES/61/295. Penelope Simons and Lynda Collins, “Participatory Rights in the Ontario Mining Sector: an International Human Rights Perspective,” (2010), p. 196. Martin Papillion and Thierry Rodon, (2016), p. 217. Constitution Act, 1982, being Schedule B to the Canada Act 1982 (UK), 1982, c 11 [section 35(1)]. R. v. Hape  2 S.C.R. 292, para. 53. First Nations Child and Family Caring Society of Canada v. Canada (Attorney General), 2012, 2012 FC 445, para. 353. Aff’d 2013 FCA 75. Tsilhqot’in Nation v. British Columbia (2014) at para. 92. “Once title is established, it may be necessary for the Crown to reassess prior conduct in light of the new reality in order to faithfully discharge its fiduciary duty to the title-holding group going forward. Paul Joffe, October 19, 2016, “Advancing Indigenous Peoples’ Human Rights: The Challenges of Development, INTD 200. See also: Paul Joffe, “”Veto” and “Consent” – Significant Differences,” (2015). Penelope Simons and Lynda Collins, “Participatory Rights in the Ontario Mining Sector: an International Human Rights Perspective,” (2010), p.196. Paul Joffe, “”Veto” and “Consent” – Significant Differences,” (2015), p.2. Christa Scholtz. “The Influence of Judicial Uncertainty on Executive Support for Negotiation in Canadian Land Claims Policy.” (2009), p. 420. The Ross River Dena Council (RRDC) has entered several agreements on land settlements with the government of Yukon, in which Aboriginal rights and title within the Kaska Traditional Territory have been recognized. Haida Nation v. British Columbia (Minister of Forests), 2004 SCC 73. Quartz Mining Land Use Regulation, O.I.C. 2003/64. Ross River Dena Council v. Government of Yukon, at para. 25. Supra note at para. 36. Specifically, this system is also established in the provinces of British Columbia and Ontario. Stephanie Axmann. “Ross River Dena Council v. Government of Yukon,” (2013). Catherine Coumans, “Chapter 7: Whose Development? Mining, Local Resistance, andDevelopment Agendas,” (2011), p.130. Martin Papillion and Thierry Rodon, “Proponent-Indigenous agreements and the implementation of the right to free, prior, and informed consent in Canada,” (2016), p. 216. Ciaran O’Faircheallaigh “Aboriginal-Mining Company Contractual Agreements in Australia and Canada: Implications for Political Autonomy and Community Development,” (2010), p.76. Coumans, Catherine. Alternative Accountability Mechanisms and Mining: The Problems of Effective Impunity, Human Rights, and Agency. (2010), p. 48. Jim Cooney, Mining, Economic Development and Indigenous Peoples: “Getting the Governance Equation Right,” (2013), p.31. Waynee Kinuthia, “Accumulation by Dispossession” by the Global Extractive Industry: The Case of Canada,” Wanyee Kinuthia Ottawa, Canada, (2013), p.79. Sango Mahantya and Constance L. McDermott. “How does ‘Free, Prior and Informed Consent’ (FPIC) impact social equity? Lessons from mining and forestry and their implications for REDD+,” (2012), p. 410. Malcolm Lavoie and Dwight Newman. “Mining and Aboriginal Rights in Yukon: How Certainty Affects Investor Confidence,” (2015), p.20.